As detailed in this question there is currently a network-wide issue impacting the visitor, views and visits statistics resulting mostly in zero amounts. Since this doesn't seem to have a quick fix—it's been a month—I'd prefer to have the stat hidden for now on the front page of the beta sites. 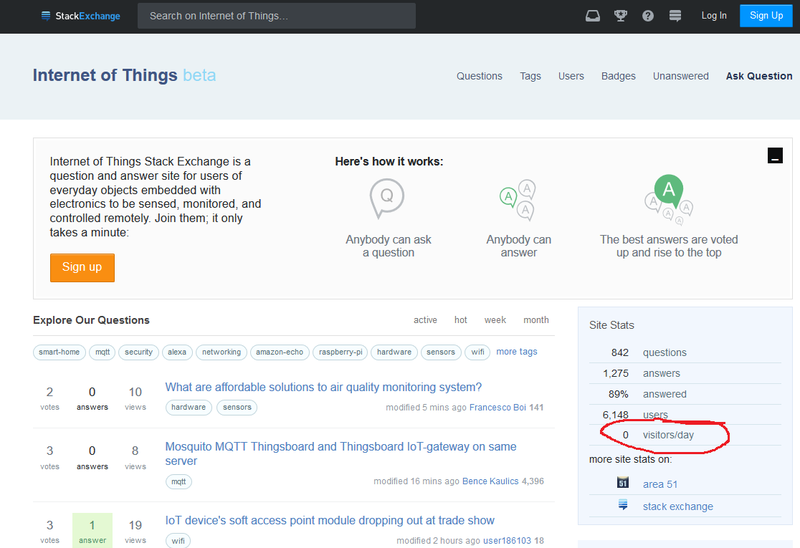 Stack Exchange beta sites—especially the small ones—are still in the community ramp up phase. I can't quantify it but to be honest a zero visitors per day stat that's flung into a potential new users face is most likely not helping. Thus, please hide that stat on the front page until you fixed it and it returns to real values. How can a question banned user fix their questions if they're deleted?